This page is dedicated for you, our customers! Please send us a photograph of our products in action, along with a short write-up, and we will post it on this page. Skiing with our gloves? Send us a pic! Strutting our apparel? Send us a pic! Be the first to represent your state or province. Be the first to represent your ski area. Be the first outside of North America! Be the first to chime in from Europe, Australia, South America, Asia, Africa ... Antarctica?! It is up to you, world. This page is yours... Be creative and enjoy! Your gloves have found a home in our program. They work well with HOC and superlight outriggers. We have also found they work well with our CARtski sled. We have a couple of smaller clients (children) who would have use for your product but they are much too large. We have tried a number of products like yours and many rolls of duct tape but yours is by far the best engineered and well thought out product. Thanks for taking the time to develop this useful device. I'm a former pro ski patrolman who began my new life as a quad almost 4 years ago. Since my injury, I had not been on snow - but that all changed this winter. 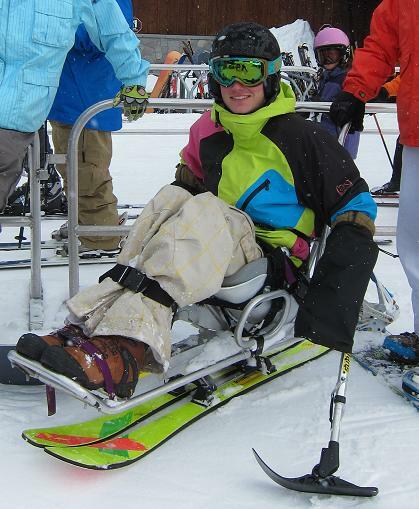 I recently got involved with STARS (Steamboat Adaptive Recreational Sports), learning to use a sit-ski. Your glove system (GHO Solution) is awesome and has been working out perfectly (I have been using it without the outer shell - it has been too warm). I imagine lots of sit-skiers will benefit from your product! Long time friend, Ty Kelly, wore his Billy's T-Shirt during his Ice Bucket Challenge promoting awareness of the disease Amyotrophic Lateral Sclerosis (ALS). Poo Poo Point is a local hike where the paragliders launch from. Last Sunday (July 27, 2014) Billy Price of Billy's invited me to watch him fly. I don't have the guts to jump off a cliff. Many people thought we were crazy for wakeboarding on a 43 degree Montana lake in early May. But for us, cruising across that bone-chilling, "glacial" water became a little slice of heaven (throwing on Billy's super cozy & warm, fleecy sweatshirt after climbing out of that ice-water was also quite heavenly)! This sweatshirt has quickly become a favorite clothing piece of Dan's (pictured), and not just because it's the comfiest sweatshirt ever, but because of what it represents. 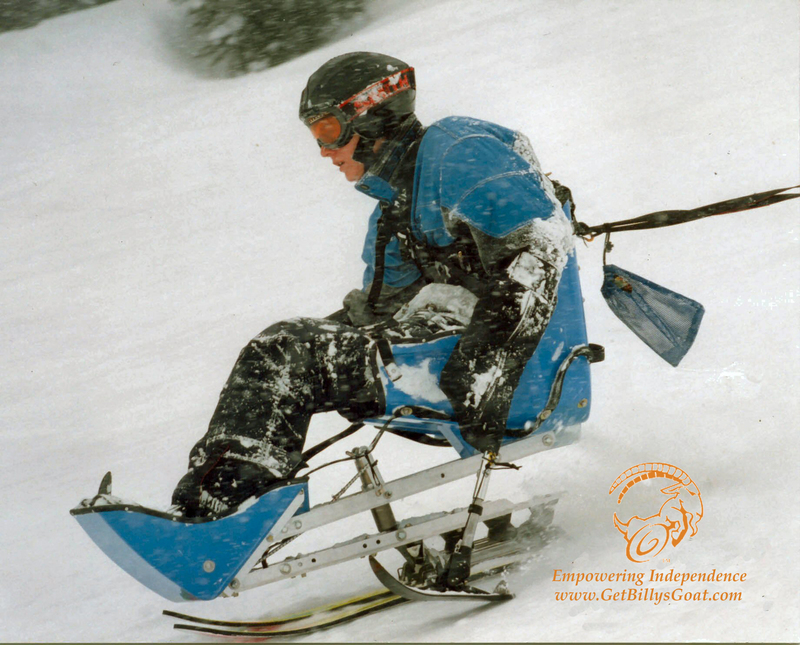 Billy's mission, "Empower Others by Empowering Independence", goes far beyond words for anyone familiar with Billy's amazing & inspirational story, & the products that the company has created to better the lives of so many. Billy's reminds us of the limitless possibilities & the hero that lies within each of us. 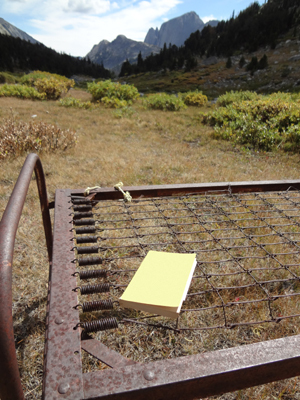 No lake is too cold, no ski run too steep, no hurdle too high. Life is a journey that often sends us down crazy paths that tests our hearts & shakes our souls. Billy's is a lifestyle….an attitude. It inspires us to be better people each & every day….to live every moment to the fullest & to drink up that ice water. Not every life condition is favorable, but when you favor only the good ones, you just may miss that moment….That break in the clouds where the silvery sun melts your goosebumps & warms your heart. Where the blistery spring wind suddenly calms & the water smoothes to a buttery surface. That moment where you launch over the wake higher than you ever thought you could. That moment where you fly. This is the key to life. To seize the good in every moment, every condition. Was it a favorable day? No. Was it a moment that freed our spirits, strengthened our courage & enriched our souls? Definitely. We very easily could have cursed the weather & headed home on that chilly day. But we didn't. We're so grateful that Billy's was there with us, in sweatshirt & in spirit, & that we rode out the storm. When life gives you the option to sink or swim….which will you choose? We choose Billy's & all that it represents, & that is what makes all of the difference. Life is what you make it. Remember to embrace your inner "Billy" every day, & in doing so, you will empower others to do the same. I'm a fan of well designed and engineered solutions so I am very much in support of what you're doing. I've drawn inspiration from you to apply to both my professional and personal life. You don't seem to let anything stop you. It's great to see something that has helped you continue to ski be perfected and available to others. I'm proud to be your coworker and friend. By the way, the hooded sweatshirt I received is warm and fuzzy! The hood provides full coverage and the body of the sweater is not bulky to allow for layering. You'll catch me strutting it around for sure. These gloves completely changed my skiing for the better. Before these gloves my only two available options were tight rubber straps, which continually needed adjustment and when they did stay in place circulation was was cut off to my hands; or duct tape, which is effective but that too cuts circulation off to my hands plus leaves sticky residual goo all over my gear. Your gloves were the answer to my problem. It is amazing how much easier I can turn now that I have control over my outriggers. Plus my hands stay very warm with all the insulation!